Alec Baldwin is to play a sharp-suited, hard-nosed businessman with a twist in animated film Boss Baby. 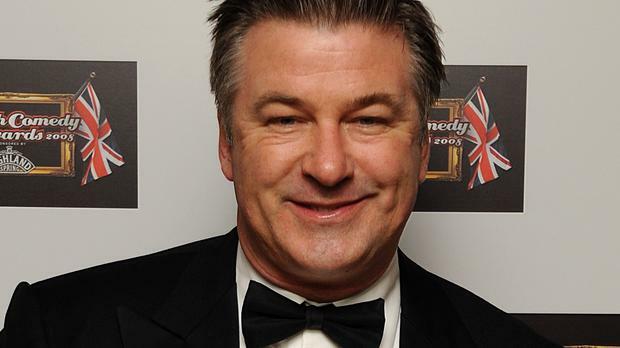 The 30 Rock star - who won two Emmy awards for his performance as sharp-talking entrepreneur Jack Donaghy in the hit sitcom - has signed up to the voice cast of the new DreamWorks Animation film, along with Kevin Spacey. According to the Hollywood Reporter, the movie, which has a release date of March 18, 2016, is being directed by Tom McGrath, whose previous credits include the Madagascar movies and Megamind. Boss Baby - loosely based on the award-winning picture book by Marla Frazee - is described as a "fantastical family comedy" about a fast-talking, briefcase-carrying baby, voiced by Alec, and his seven-year-old brother, who is jealous of him. But when Boss Baby's brother sets out to to win back the sole affection of his parents, he stumbles upon a secret plot by the CEO of Puppy Co (voiced by Kevin) that threatens to destroy the balance of love in the world - and it turns out Boss Baby is at the centre of it all. The brothers must team up and stop the disastrous plot, save their parents, "and prove that love is indeed an infinite force". Michael McCullers, who worked on the Austin Powers films, is writing the script. Alec previously voiced characters in Rise Of The Guardians and Madagascar 2: Escape From Africa, while Kevin's last voice work for an animated movie was in 1998's A Bug's Life.